An on-line course consisting of 7 modules with over 16 hours of instructional videos, covering the entire INCOSE SE Handbook vs 4.0. 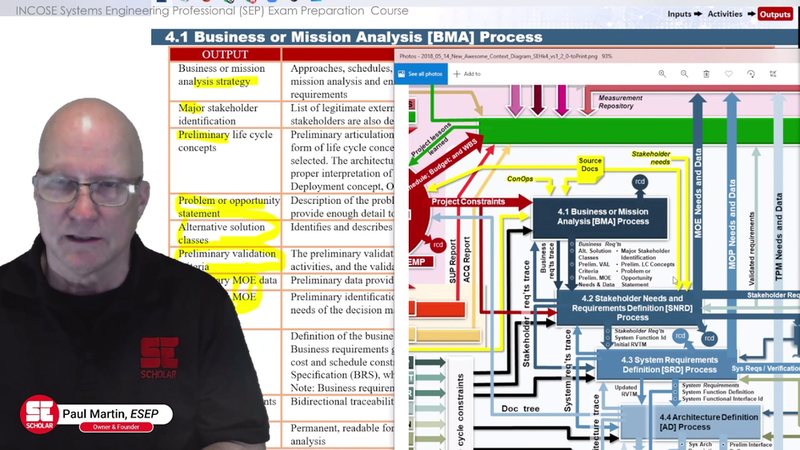 Includes study guides, a comprehensive Process Flow diagram, practice quizzes and exams. Learn the material at your pace and in your time frame. SE Scholar will be using several online services in order to deliver this course. We’ll be using Canvas -- a new, open-source Learning Management System by Instructure Inc. The student needs to get an account with Canvas in order to access the course material and participate in the class discussions. All our material will be provided as PDF which can be viewed using Adobe's Adobe Reader. The student is responsible for making any physical paper versions. This is a pdf of our comprehensive Process Flow diagram which we affectionately call the “Big Awesome Chart (BAC)”. 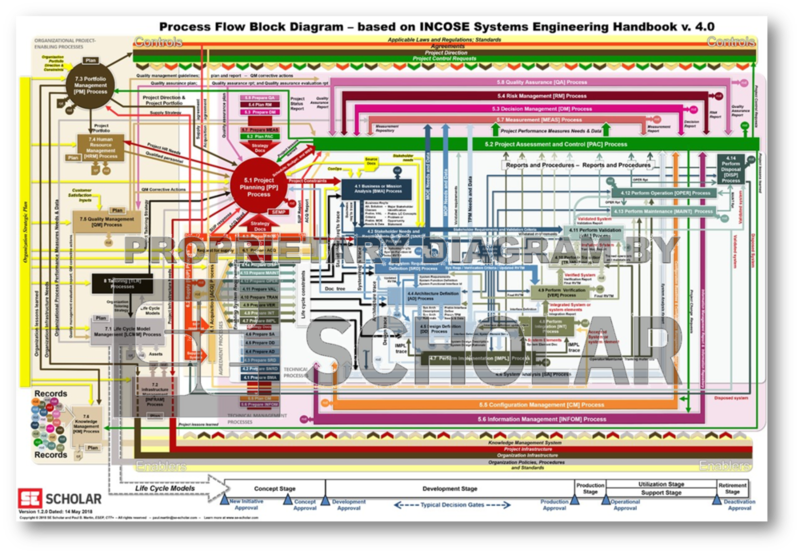 This diagram shows the interactions of all 31 Processes from the INCOSE SE Handbook vs. 4.0, from the Portfolio Management Process to the Disposal Process. This is the same chart that we use for our SEP Exam Preparation course. It is sized to 24in x 36in which can be printed as a beautiful poster. After you purchased the chart and you decide to sign up for our self-paced online SEP Exam preparation training, just let us know so we can give you a $150 discount.